Back in February at MWC, vivo showcased the APEX Concept Phone. Last week the manufacturer told us to mark June 12 on our calendars, and now we know why. 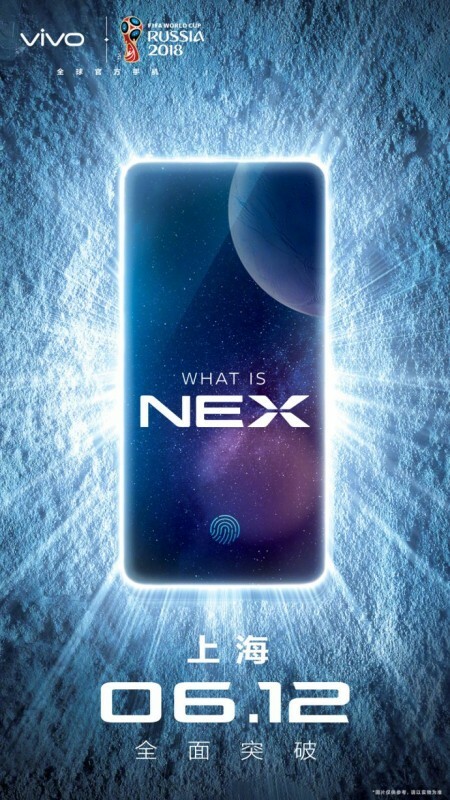 The concept is turning into a mass-production smartphone, called vivo NEX. In a series of posts on the Chinese social media Weibo, vivo said the “pursuit of excellence never stops” and it is “creating a futuristic experience”. The phone is likely to have no bezels and nearly 100% screen-to-body ratio. It will most likely have a fingerprint scanner under the display, and we also expect a selfie camera coming out of the top like a periscope. The vivo NEX is expected to have an OLED display with Full HD+ resolution and a tall ratio. The company managed to mount microchips on the flexible circuit board to get the bezel-less look and feel. The earpiece is expected to be a piezoelectric speaker that emits vibrations through the panel. Rumors suggested a CNY6,998 price tag for a Snapdragon 845-powered vivo NEX. This goes over the psychological threshold of $1000 (nearly $1090, to be exact), but the company might launch a cheaper version with Snapdragon 710 for CNY4,998 or $780/€630.